Top level officials of Canon including Fujio Mitarai, chairman and CEO of Canon Group; Jing Dunquan, vice chairman of The Chinese People’s Association for Friendship with Foreign Countries, vice chairman of Sino-Japan Friendship Association; Tsuneji Uchida, president and COO, Canon Group; Jane Le, president and chairman of Le Bao Minh, Vietnam; Irwan Kamdani, president director, PT DataScript, Indonesia; and Hideki (Howard) Ozawa, managing director of Canon Inc., president and CEO, Canon (China),are suppose to officiate the opening of the Canon Expo 2016 at Shanghai International Convention Center. – said Mr. Kafi about the expo and his participation. Canon is famous for its total imaging solution starting from DSLR/SLR and digital camera, lenses to printer and scanner. Besides camera currently Canon produces about 20 million printers and scanners a year, and it is expected that the market for Asia will be 3-4 times that of America or Europe. 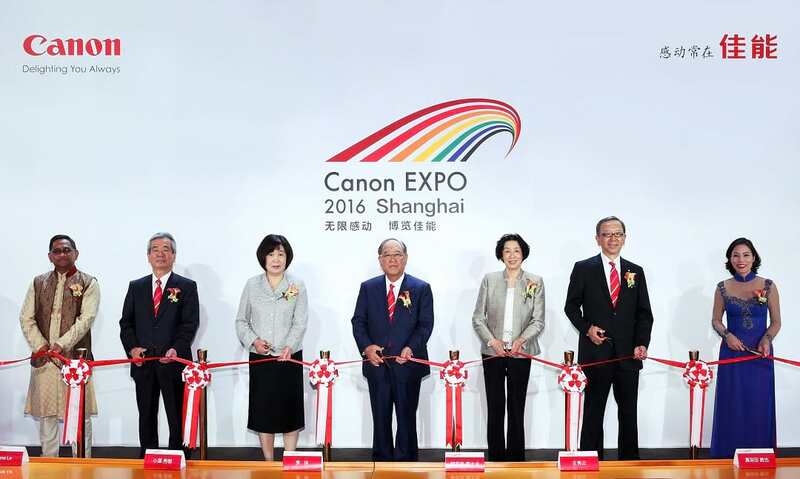 The Canon EXPO, held every five years, ended its four-city tour after New York, Paris and Tokyo last year to finish in Shanghai, China from 19 to 22 May 2011. The 3 days expo is going to end on May 22, 2016.